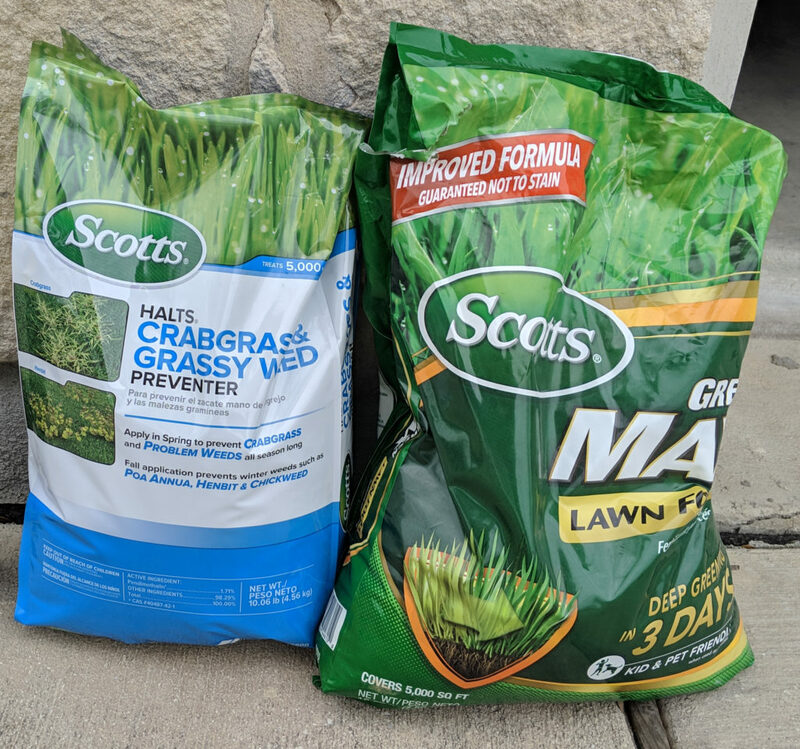 So if you have been following my posts I gave you an overview of what you needed to do to fix your lawn and I have been giving you a deep dive on each part along the way. Now that you have killed all the weeds in your lawn and mowed the lawn at the proper height you might now want to add things to promote growth. Stop! The first thing we want to do is set up the defense against weeds in your lawn. This is more important than anything else you might add to the lawn and will prevent more work later. This is done with a pre-emergent herbicide. A pre-emergent herbicide normally comes in a granular form and is placed in your lawn using a spreader. What a pre-emergent does is stop seeds from germinating and suppresses new plant growth. So this stops weeds spreading via their seeds and halts new weed growth. The most common pre-emergent herbicide product is “Weed and Feed”. Weed and Feed products combine a pre-emergent herbicide with a fertilizer. This will simultaneously prevent weed growth and feed your laws. So the plus side of weed and feed is the convenience and the down side is the fertilizer that you might not want to put down at certain times of the year. Such as winter when the lawn is dormant or summer (above 85) when it can burn the grass if it isn’t watered in well. For myself I prefer a dedicated pre-emergent product like Scotts HALTS. I place that down every other month to best control weeds and I have no worries about feeding my lawn when I don’t want to. The down side of that is needing to buy a separate fertilizer product for the times of the year I want to do that but that is the trade off I make. Either way you want to spread pre-emergent at least four times a year. Also as an FYI don’t spread a pre-emergent on freshly seeded grass or somewhere where you want to place grass seed in the near future as a pre-emergent will stop all seed growth. Some important notes when spreading any granular on your lawn is first don’t spread it right before you mow. The mower will either pick it up and spread it in more concentrated paths or pick it up in your bag, if your bagging the clippings. Either way you don’t want that, so spread it after you mow or several days in advance so it has a chance to settle into the lawn. Once it is spread the granular is just going to sit there and do nothing until it gets water on it. So if rain isn’t in the forecast you will need to water it to get it helping your lawn and that is my second important note about using granular products on your lawn. So far we have covered just chemicals you might want to put into your lawn here. I think in the next post I will talk about other things you might add to top dress or improve the soil in your lawn and if you should place grass seed or not. Spoiler warning: in most cases spreading grass seed isn’t the best idea.